LAS VEGAS (CelebrityAccess MediaWire) — The Pearl, the state-of-the-art 2,500-capacity concert theater currently under construction at The Palms Casino Resort in Las Vegas, announced today Andrew Hewitt and Live Nation were named as the official booking agent of the new venue. "We are thrilled to be partners with The Palms in such an important new venue in Las Vegas," said Live Nation Chief Executive Officer, Michael Rapino in a statement. 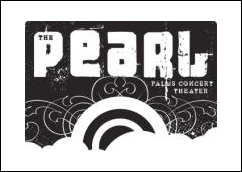 "We believe the Pearl will be a big hit with the artist community and music fans alike, and we are looking forward to bringing world class talent to the venue for many years to come." The Palms signed a multi-year agreement with Live Nation and Andrew Hewitt to book The Pearl. Hewitt has booked some of Las Vegas' most preeminent venues for more than 11 years, booking such acts as The Rolling Stones, Madonna, U2 and hundreds of others. "Partnering with Live Nation was a simple decision. Andrew Hewitt's experience in the concert and touring industry is unparalleled and he knows the Las Vegas market and the intricacies of touring — from the artists and venue to the marketing and promotion," said Palms owner George Maloof.